Search Solution Staffing has expert recruiters experienced in the staffing of call center agents. Staffing for high volume call centers can be difficult due to the level of ability and productivity necessary. Our call center recruiters have a firm understanding of what skills a call center agent needs, not only to function but to be successful. The assessment processes our recruiters implement provides valuable insight into the competencies of the candidate and the personality to find the best fit for a client’s culture. The placement of a temp, temp-to-hire, or a contract hire to fit the established culture is deeply important to the structure of a high volume call center. As call centers are often based heavily on the ability of the agent, a hostile or disrupted corporate culture could have a direct effect on the productivity around the call center. Placing a compatible and qualified candidate is vital to an organization’s development. 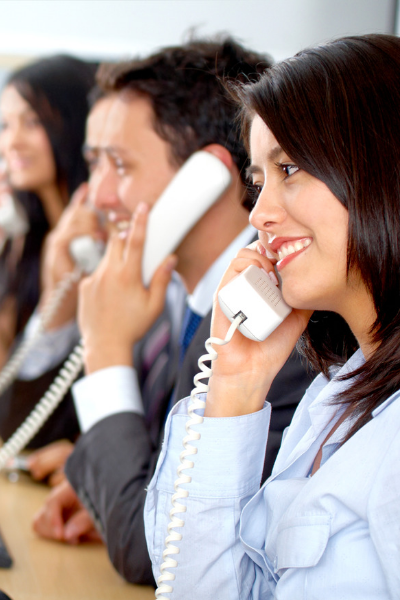 High volume call centers face one of the highest turnover rates across the industry. Partnering with a staffing firm and capitalizing on our ability to staff call center agents fast and reliably could function as a stark advantage over competitors. Search Solution Staffing has an expansive talent base consisting of vetted call center agents. Through intensive screening and specialized interview processes, Search Solution Staffing recruiters can pointedly reveal a candidate’s true skillset. Our recruiters leverage this talent base to source the candidate who fits best with the needs of the client. In filling roles fast, our service allows a high volume call center to maintain productivity, effectiveness, and profits. One of the biggest challenges of high volume call centers is the inability to find competent talent. Especially in the fast-paced environment of a call center, lacking critical roles could be detrimental to the call center holistically. Lost efficiency relates directly to lost value in the field, leaving irreparable damage in most cases. By offering a range of services, from temp, temp-to-hire, and contract staffing, Search Solution Staffing can accommodate your needs quickly.